Color Psychology: Orange You Glad? 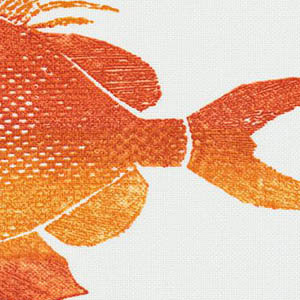 Yeah, yeah, cheesy working title, but thinking about orange just gets us giddy. This insanely cheerful color may invoke some Halloween-esque feelings, but decor wise, it’s super en vogue. We’re seeing it thrown everywhere, from accent pillows, to headboards, to little girl’s bedrooms. The color’s gender neutrality is definitely one of its greatest strengths! 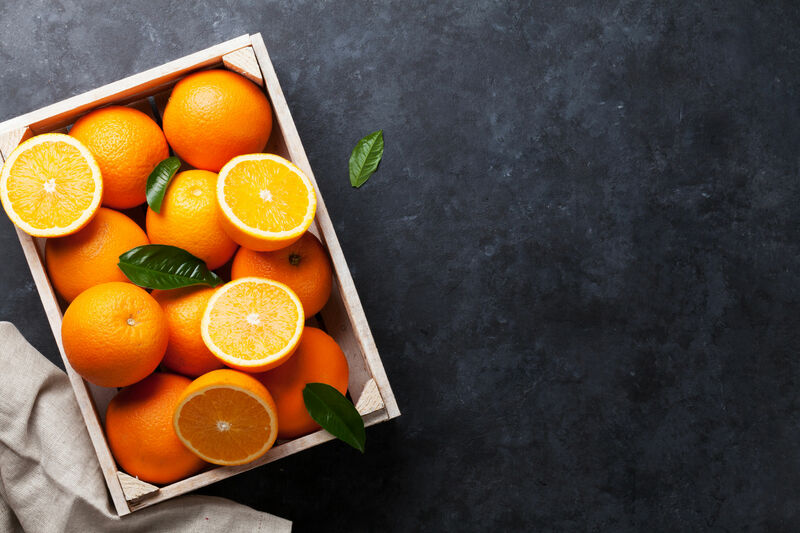 Orange, as everyone knows, is a mix of yellow and red, balancing cheerfulness with intensity to bring you the best of both traits. Ironically, most likely due to its associations with Halloween, orange is often thought of as a cartoonish, vulgar color. Don’t let this scare you from using it around your home and in your wardrobe! A bold orange bag is exactly what this season calls for. Ready to turn some heads? 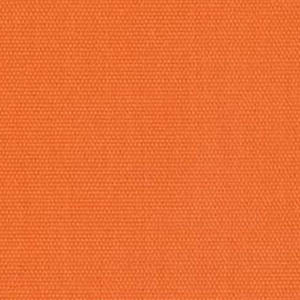 Here are our favorite orange swatches from our online discount fabric store. Happy browsing! Silk fabric has been coveted around the world and through the ages, with its earliest use being dated to ancient China where it was used exclusively for the royal family. In time, demand for the fabric across the world led to a 4,000-mile trade route, known as the Silk Road, which stretched from China to the Mediterranean. All the great empires of the pre-modern era sought silk clothing and other items for their ruling elite. Although cheaper fabrics, such as nylon, are more popular today, there is still a high demand for quality silk fabric. Japan, India, and Thailand are among the major producers of silk, but China, as in the earliest days of the silk trade, is the dominant producer of the material today. Popular in clothing and linens, here are some of the qualities of silk that have made it a high-demand fabric throughout the ages. Silkâ€™s shiny and smooth texture makes it both comfortable and elegant. Silk is a versatile fabric that can cool and warm simultaneously, making it a popular fabric in all seasons. Of all fabrics, silk is the least likely to be an allergen. Silk fabric is easy to wash and is resistant to dirt and odors; it also dries quickly. Silk is derived from protein fibers produced by certain insects. Silk makers harvest this fiber and twist it into strands of four different types of thread which differ in the number of strands of silk used and how they are wound together. 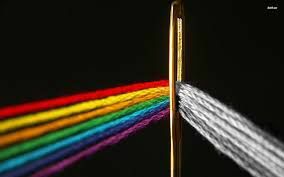 The type of thread used will depend on the type of product it will be used for. As far as care for silk items goes, first consult the productâ€™s care tag and follow any instructions accordingly. Most silk products are recommended to be dry cleaned, but can also be hand washed in lukewarm water with a mild soap. There are soaps available specifically for silk as well. Silk should be hung to dry and always ironed from the back side. Find the perfect silk at Barras Fabricsâ€™ online fabric store. Browse our inventory today! Is it possible that we are already more than halfway through the summer? Keep the brilliant colors and warmth of the season alive by incorporating floral patterns into your home and office decor. Â But wait–before you re-upholster your entire living room set, consider these floral pattern tips and trends to avoid a floral furniture fiasco! Minimalist Mentality. Because floral patterns can be quite ornate, it is important to use them sparingly in a very tasteful way. A floral accent against a solid backdrop makes for a stark and stunning contrast that lends itself to a sophisticated and elegant space. This can be as simple as a floral accent pillow against a solid-colored loveseat, or more involved, such as an accent wall in your kitchen or bedroom. Browse the selection at your favorite online fabric store to find the perfect floral fabric to inspire your design. 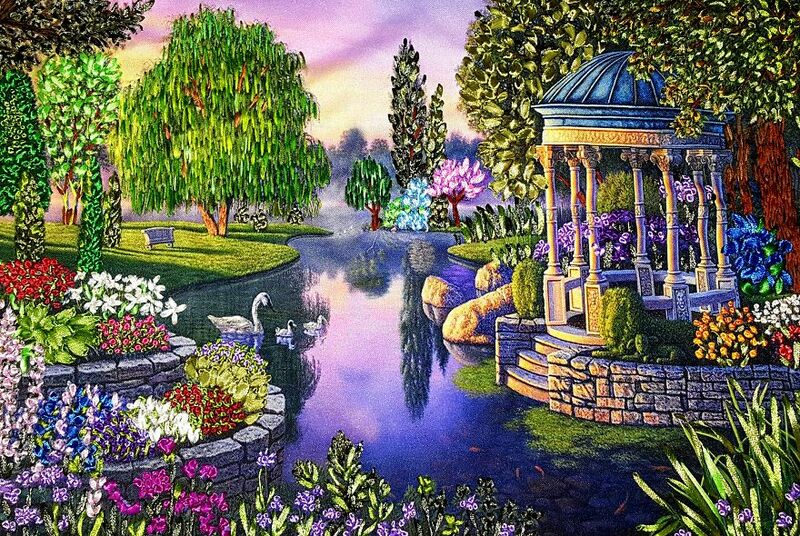 Large, Vibrant Prints. 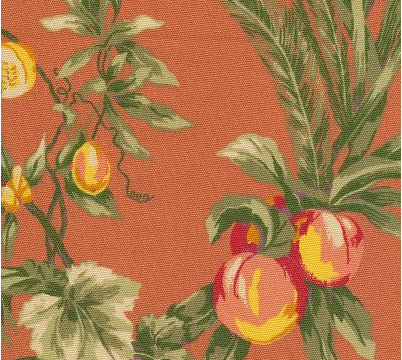 For some, floral prints may bring to mind washed out, decades-old couches in your grandmotherâ€™s living room. What sets the floral prints of 2016 apart are their bold and brilliant colors which, by the way, need not be nature-accurate. If you want turquoise roses on your tablecloth, by all means–go ahead! 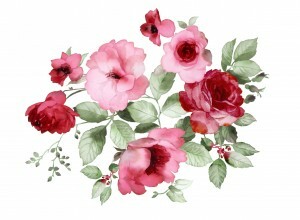 But, a word of caution–multiple floral designs in one setting can be a recipe for disaster. Consult a professional if you are unsure of how to make your floral design work. Consult the Classics. Although floral patterns have taken a turn for the modern, some vintage designs have made a definite comeback, fitting right in with contemporary decor. Browse this board on Pinterest to get a taste of classic floral designs that still arenâ€™t tacky. With careful design, floral patterns can invigorate the energy of a room and produce a classic, bright, and sophisticated impression. As the days get shorter, keep your living and work spaces colorful and welcoming by incorporating tasteful floral designs into your decor. Sometimes weâ€™re so busy planning out the decor in our homes that we forget to stop and admire our efforts as a work of art. Like art itself, the fabrics we use are created out of inspirations that arise from everyday life. 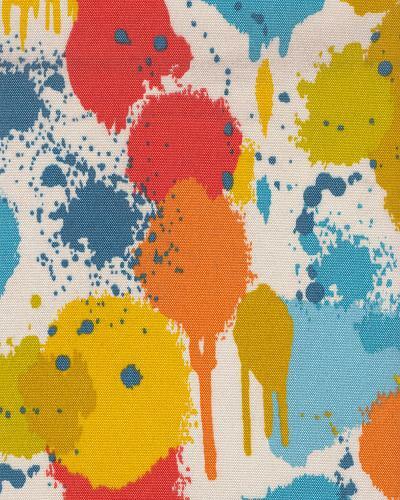 Some are even taken from the art world itself, like these fabrics, which resemble the drip painting technique. 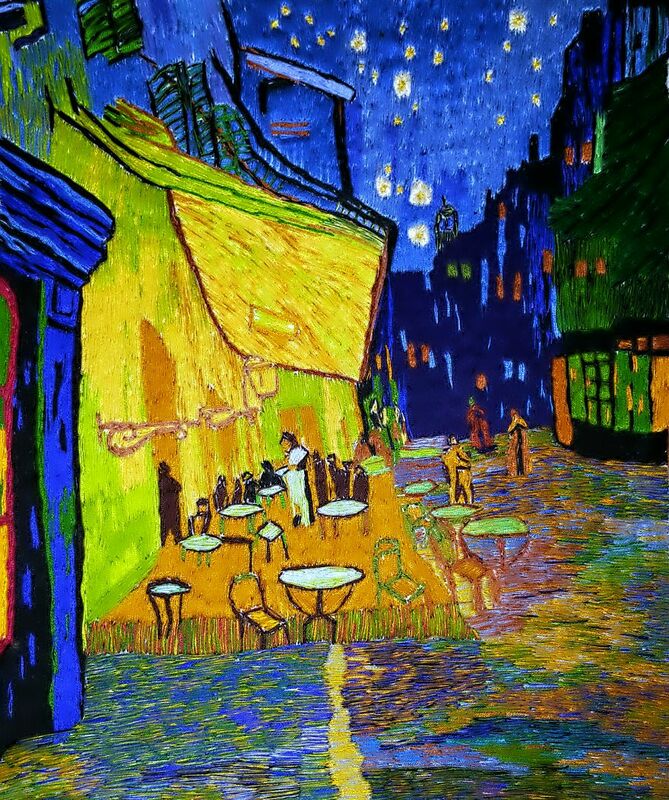 As the name implies, drip painting is a painting style in which the painter drips paint onto a canvas to evoke an emotion using a particular color pattern. 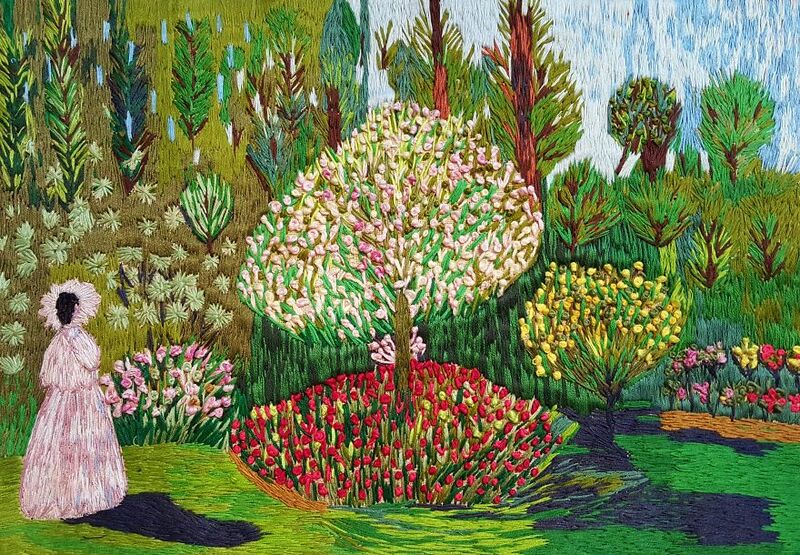 Like fabrics, this particular art form relies on the usage of color to get its message across. Famous drip painter, Jackson Pollock used house paints to fill his canvas, as the paint is lighter than oil paint. This gave him the opportunity to use large amounts of paint at once. What makes drip painting so exciting, is that anyone can be a drip painter if they are willing to explore the technique. Instead of stopping at a paintbrush, Pollock used items like sticks, hardened brushes and basting syringes to create his works of art. 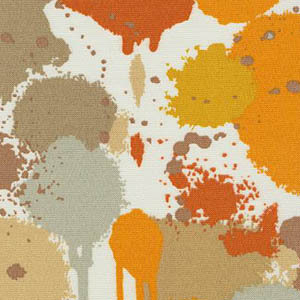 Pair their finished work of art in a room with one of our drip inspired discount fabrics to create an artistic feeling. Plus, the kids will receive the satisfaction of seeing their artwork displayed in a special place. Fourth of July is right around the corner. That means barbecues on the porch, celebrations of all our country stands for, and a renewed sense of patriotism. It also means preparing your outdoor and indoor living spaces for the festivities that accompany the holiday. For those of us looking for ways to inject a good dose of patriotic reverie into our living and entertaining spaces without going overboard, decorative fabrics are the perfect solution. 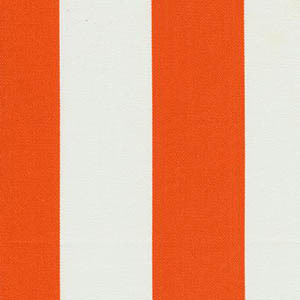 To get you ready for this yearâ€™s Fourth of July celebrations, we offer up some top ideas for utilizing red, white, and blue fabrics in your homes and patios. Patriotic Accent Pillows: Accent pillows are the go-to solution for any time you want to add a dose of personality to a room without drastically changing the decor. 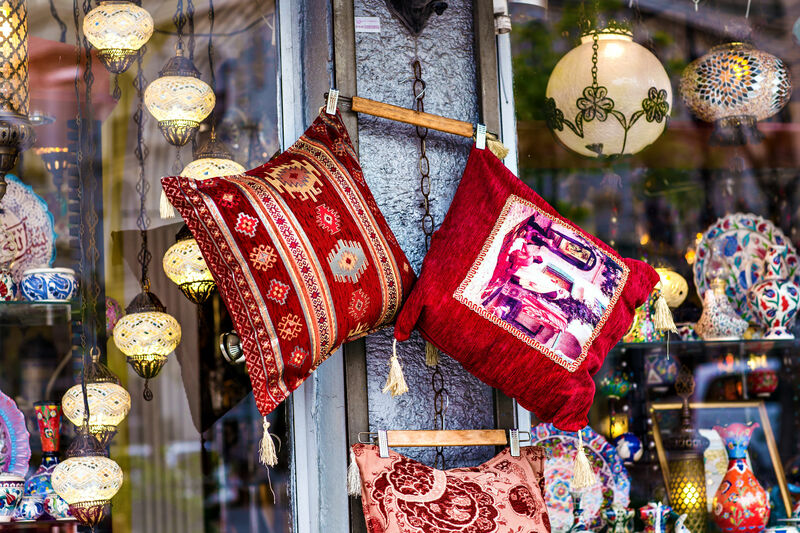 To decorate for the Fourth of July, head to your local craft store to pick up a few small, inexpensive accent pillows. 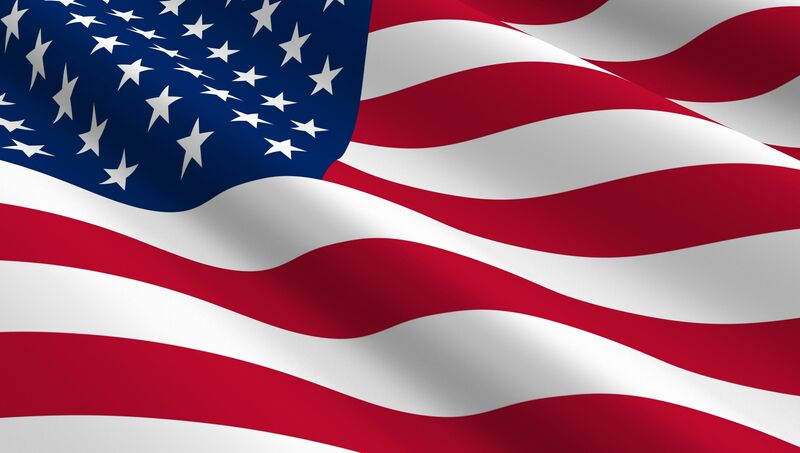 Then, visit an online fabric store to find the best prices on patriotic prints to cover your pillows with. Unsure about patriotic prints? Buy 12 small pillows to display in groups of three. Each group will contain a red, a white and blue pillow that will look wildly patriotic without offending your sense of style. Table Runners: Table runners are another fantastic–and easy–way to utilize red, white, and blue fabric this Fourth of July. Simply purchase enough of each color to create a red, white, and blue striped table runner that covers the entire center portion of your dining room table. The best part about this idea? Itâ€™s easily stored away for next year! Placemats and Napkins: Similar to the table runner idea, red, white, and blue fabric can be woven together to create unique, patriotic, and gorgeous placemats and napkins for the guests at your celebration. As with the accent pillows, you can either sew these colors together to create a striped pattern, or simply create enough placemats and napkins in each of the solid colors to allow you to make groupings at each place setting. Whether you opt for an advanced project or choose to keep it relatively simple, decorative fabrics are an easy, inexpensive, and fun way to inject pride in your country into your decorating scheme this 4th. Visit our online fabric store to browse our selection and then be sure to post what you create on our social media pages so we can celebrate along with you! 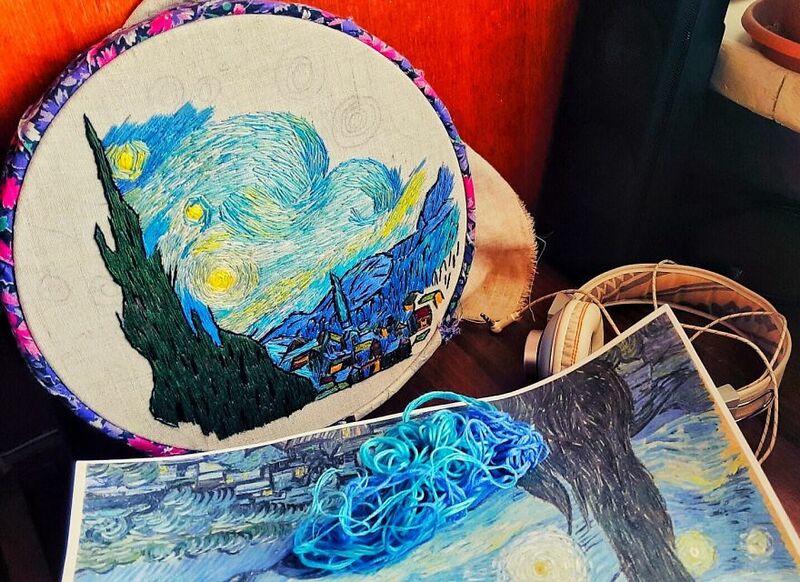 Unless youâ€™re an embroidery enthusiast, embroidery hoops might not immediately jump to mind when considering home decorating ideas. Still, these gorgeous decorative pieces are relatively easy to make and serve so many more purposes than one might expect, whether youâ€™re looking for a unique way to decorate your little oneâ€™s nursery, add a touch of homemade love to your bedroom, or cozy up a kitchen. Even college students looking to add a dose of home to their dorm rooms will love mounting these hoops to their walls and thinking of home. The Internet abounds with easy, straightforward directions for creating these decorative pieces. 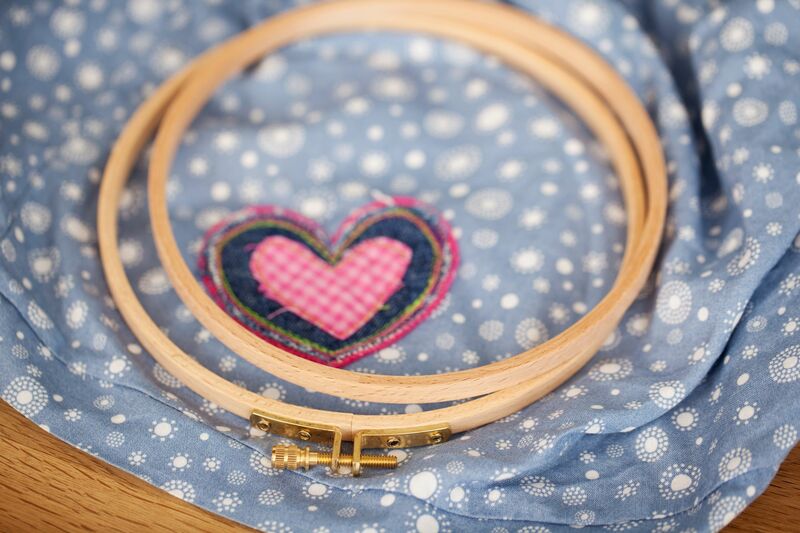 Below, we outline the steps for creating an embroidery hoop for your nursery. Review the steps, decide upon your color scheme, visit a discount fabric retailer, and then get started! Buy Materials: To create this look, you will need a small, medium, and large wooden embroidery hoop, nails and a hammer, glue, scissors, and three types of home decor fabric. Create Each Hoop: Take the wooden hoop (which will pull apart easily) and pull the two pieces apart so you have an exterior hoop and an interior hoop to work with. Choose the fabric for the hoop you are creating and cover the outside of the interior hoop with fabric glue. Once the glue is in place, take your fabric and lay it over the hoop. Then, take the exterior hoop and place it over the interior one so you are pressing the fabric down over the glue (be sure to loosen the screw at the top of the hoop before doing so). Use your fingers to pull the fabric through so it isnâ€™t loose. When finished, tighten the screw and then turn the hoop over to trim off any extra fabric. Repeat for Each Size: Repeat the above process for each size hoop in a coordinating pattern. Then hang above the crib with your nails and hammer. 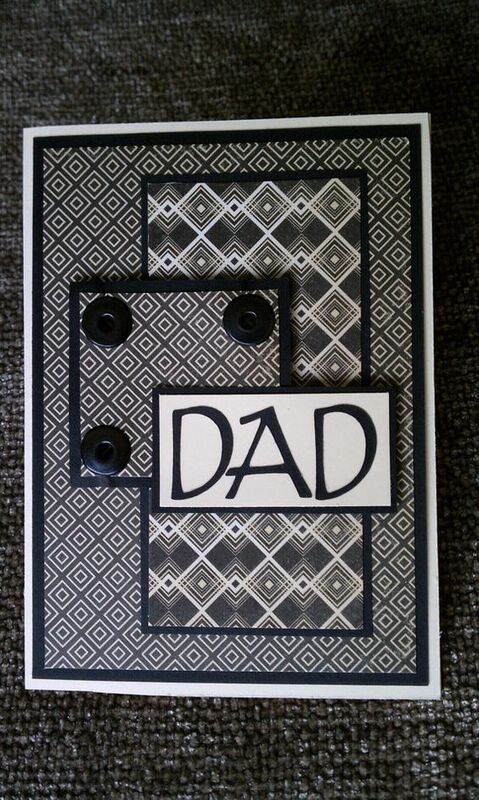 Fatherâ€™s Day is right around the corner. Come June 19th, we will all be celebrating the dads who have made us who we are today, and those who are currently showering our little ones with love and affection. This year, do something different and unique. Skip the traditional tie and mug gift and gather the kids around for a fun fabric project. 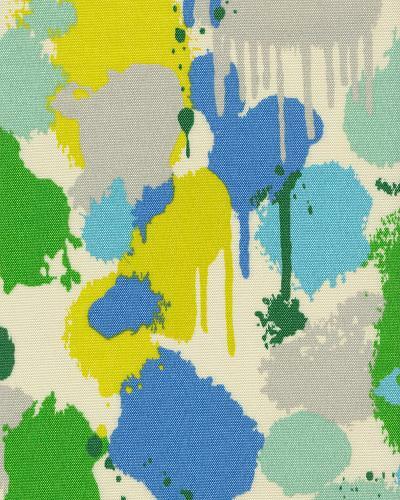 Whether you opt to let your little ones finger paint on top of a fabric covered canvas or are feeling ambitious enough to upholster dadâ€™s favorite chair in the perfect print from your favorite online fabric store, the question is how to choose the perfect fabric. Looking for a DIY craft project for the father in your life but arenâ€™t sure how to make a fabric craft that is appropriately masculine? Here are our top picks! Skip The Florals: When choosing a masculine print for dad, the first general guideline is to skip the florals. While home decor fabric stores are known for their beautiful floral prints, they tend to seem too feminine for the man in your life. Opt, instead, for muted patterns or solid colors. Consider Personal Taste: As with all gift ideas, consider the recipient’s personal aesthetic. Work with the color scheme in dadâ€™s room or build off of his favorite colors to create a fabric covered chair for dad or a picture frame that really speaks to his color preferences. If you stick to his favorite color schemes, you donâ€™t need to worry about whether theyâ€™re masculine or feminine because they reflect the man you loveâ€™s preferences. Stripes Work Best: Stripes are perfect for dad. Gender neutral and customizable for color preferences, stripes offer are the perfect pattern for Fatherâ€™s Day upholstery gifts. Use dadâ€™s favorite family pictures as the base for a photo collage. Choose three to five photos and collect wooden frames for each of the pictures. Cover all frames with your favorite striped pattern and arrange in a fun pattern in his bedroom for an inexpensive, yet wonderfully appreciated gift. Fabric created gifts are the perfect chance to bring the family together for a fun-filled day of crafting that is sure to warm dadâ€™s heart. Browse our discount fabric store online for fabric ideas and then get crafting. 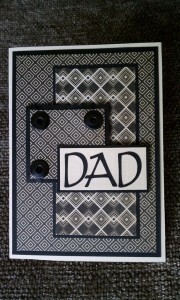 Be sure to visit our social media pages and post your DIY fabric gifts for dad. We would love to see what you come up with! Fabric Wallpapers: Creating The Custom Walls of Your Dreams! 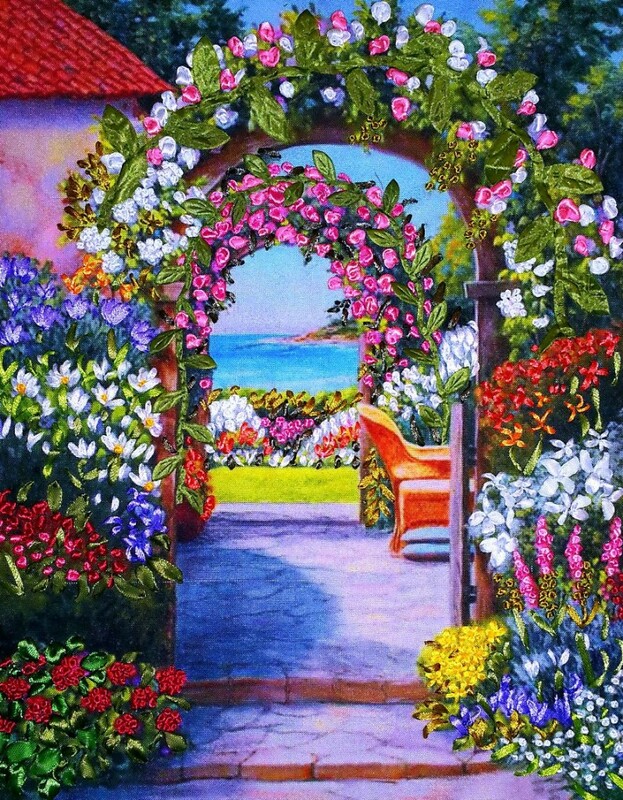 Your homeâ€™s walls are your chance to inject your personality into your homeâ€™s interior decor. Theyâ€™re also the perfect opportunity for each of your family members to get a say in the look of their personal space. Unfortunately for many families, wallpaper can be expensive to buy and install, and doesnâ€™t easily lend itself to mixing and matching. Creating fabric wallpapers from decorative fabric, however, allows you to do exactly that. Whether youâ€™re looking to wallpaper your kidsâ€™ doors to give them a sense of ownership over their space or have some nooks and crannies that could use a jolt of personality, shopping an online fabric store for your favorite fabrics and converting them into wallpaper gives you unlimited decorating freedom at a price that canâ€™t be argued with. Here are some ideas for fabric wallpapering. Doorways: Doors are the often neglected white space of a home. Rarely addressed in home decor planning, these spaces provide the perfect canvas for small pops of personality. Browse an online fabric store with your kids and let them pick out a pattern for their door. Create a color blocking scheme for visitors to see when they walk past your closed doors. 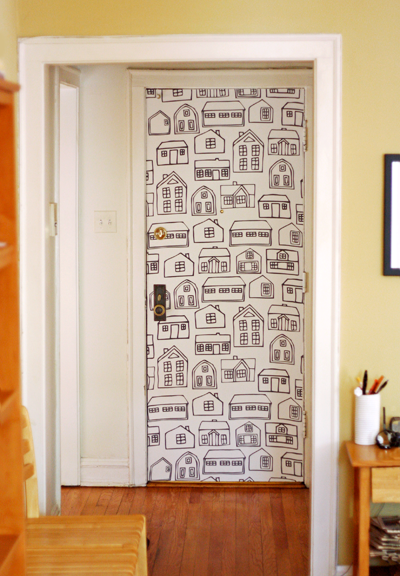 Wallpapering your homeâ€™s doors with fabric is easy, inexpensive, and a fun family project that turns a white, drab space into a fun opportunity for design. Closets: Another often overlooked opportunity for design, picking your favorite fabric and converting it into wallpaper to line inside of your closet turns creates fun, friendly space to hang your clothes and choose your daily wardrobe. Brighten your closet and instantly start your day on a brighter foot. These are just two of our favorite ideas. In reality, fabric wallpaper can work for everything from bedroom walls to window sill ledges and are less expensive and easier to install than your traditional wallpapering techniques. For a quick tutorial on how to wallpaper using decorative fabric, visit one of the popular home design DIY tutorial sites. Our personal favorite? HGTV! Check out their incredibly easy tutorial and then visit our site to choose your favorite pattern and get started. Itâ€™s the summertime again and that means that things are heating up just in time for us to get back to the beach. If youâ€™re into fashion, you know that going to the beach is much more than waves and sand. Itâ€™s an opportunity to show off our best styles with our bathing suit, beach bag and a fashionable beach blanket. If youâ€™re looking to create a cool beach blanket, we have you covered with some great beachy styles that you can easily sew a border onto and roll up to bring to the beach, but that would be boring when you could combine many different decorative fabrics to make something really interesting. 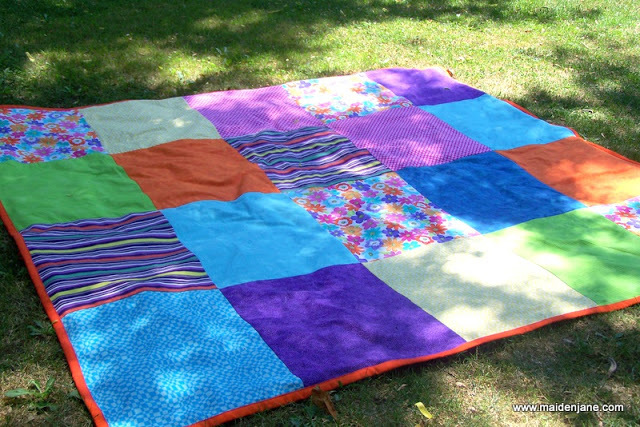 Another one we loved from her blog was a blanket with a large rectangular piece in the center. Itâ€™s an idea that really serves as an example that these blankets can be put together in any way you like, so long as it truly expresses your style. If youâ€™re looking for some great beachy styles, try out some of our outdoor discounted fabrics.